Or in my simple way of saying it, if something doesn’t seem quite right in your world, the chances are very good that your relationships need some work. Last week I gave you four, little-known, take-it-for-granted communication skills that will build your relationships on and off the job and bring about HUGE positive results. Let me give you four more skills today. Because differences are the source of power … when they’re acknowledged, respected, and utilized. When it comes to your personal relationships, respect the different focuses in men and women. When it comes to your teams, respect the different skills your team members bring to the group. Dr. Ernest Bormann, one of the world’s leading researchers on team effectiveness and my Ph.D. advisor, found indisputable evidence that the best teams were always composed of a variety of people with a variety of skills. The variety of talent allowed these team mates to find the best solutions that combined the best of everyone’s input. Few things are more contagious and powerful than attitudes. And the attitude you bring to your marriage or your team will have a HUGE impact on the results you get. Notice Blandi says you have to “harness and control this great force.” In other words, your attitudes are changeable and controllable. 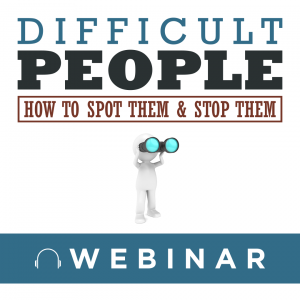 I’ll show you how to do that in my webinar on Difficult People: How To Spot Them and Stop Them being delivered this Thursday, October 18th, 2018 from 3:00 to 4:00 p.m. Eastern Time. Click here to register. So don’t cop out like so many negative people do … saying you would be more positive if you had a different job, if you lived in a better place, if you were married to a different person, or if you were teamed up with brighter colleagues. The truth is your attitudes are not dependent on having better circumstances. You’re the one who decides whether or not you’re going to have a positive or negative attitude, not somebody else. ►3. Spend some significant time together. In today’s crazy busy world, there are few resources more precious than time. It’s so much easier to give our partners things than time. And it’s easier to give our team mates quick advice and walk off than spend time on discussion and decision making. By contrast, one of my clients, AstraZeneca, the pharmaceutical company, knows about the importance of spending time with others. After Hurricane Katrina devastated the city of New Orleans, most of the conventions pulled out of the city … which only lead to further financial devastation; but not AstraZeneca. They came in a few months later with the biggest convention the city had seen since Katrina. Rick has a lesson for all of us. If you want your relationship to work, if you want your team to succeed, then there’s no substitute for time. You’ve got to spend significant time with each other … which naturally leads to the next relationship-building skill. I saw a sign a while ago that read, “Do not walk behind me, for I may not lead. Do not walk ahead of me, for I may not follow. Do not walk beside me either. Just pretty much leave me alone.” Of course I chuckled, but I also thought how tragic if someone actually believed the sign. The research says that happily married people seem to know that it takes more than roses and romance to make a relationship work. It also takes friendship. After all, best your friends don’t leave you when the going gets tough. They stick by you, giving you the kind of encouragement that comes from not only knowing you well, but loving you anyway. They don’t give up when things look impossible. They hold you accountable without shaming you. They don’t even mind if you tell the same story you’ve told them before, because they like to see you laugh. The same is true of healthy, productive teams. The team members tend to be friends or at least friendly with one another. That’s why meetings, conferences, and conventions are so critically important. In addition to learning new information and picking up some new strategies, team members get to know each other. And all things being equal, people tend to buy from and cooperate with people they know, like, and trust. Concluding Thought: If anything seems to be missing in your life, chances are your relationships on and off the job need some TLC. 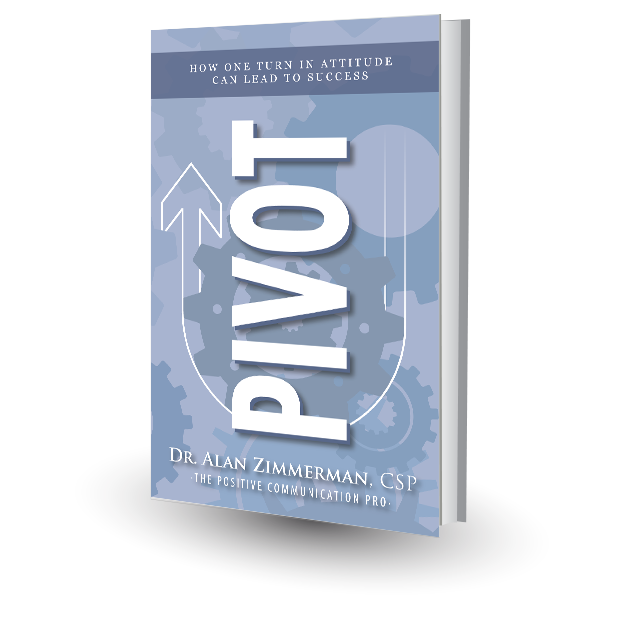 Use one or more of the four relationship-building, team-building skills I just outlined and you will have better results.